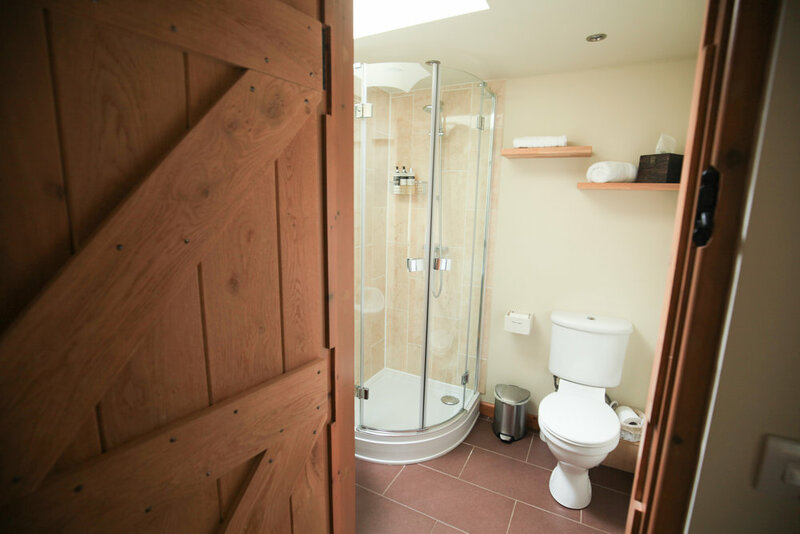 The Old Stables boasts character features and traditional/retro furnishings, complemented by a contemporary shower room and discrete, yet comprehensive, kitchen area. There is an extensive array of additional home-comforts in this room to ensure guests have the most relaxing of stays: Kingsize bed, comfortable two-seater leather sofa; Smart TV; Nespresso Coffee Maker; slimline combi-microwave; Dualit toaster and kettle. Breakfast items are replenished on service days for those guests staying on an 'all inclusive' basis .